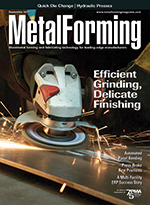 The market for automotive sheetmetal components is expected to grow at a compound annual growth rate of 4.9 percent through 2025, when sales will reach $160.5 billion. This according to the Global Automotive Sheetmetal Components Market Analysis & Trends report by Research and Markets. Prominent trends cited by the report include rising demand for lightweight vehicles, continued strong demand for high-strength steel, and technological developments in sheetmetal components. How can production teams improvise, adapt and overcome production scheduling challenges? 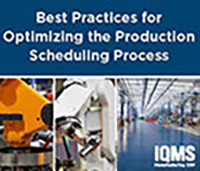 The whitepaper, Best Practices for Optimizing the Production Scheduling Process, highlights the coveted tools and best practices used by three manufacturers to boost production scheduling efficiency, cut costs, and increase plant capacity. This ISO 9001:2008 certified company offers high-quality, light-gauge stainless steel and copper alloy strip to the most exacting specifications, in gauges as light as .002". Pristine quality assured with 100% surface inspection. Short lead times. 95%-plus on-time delivery. Quotes: www.heycometals.com/inquiries. Transporter® LP magnetic end-of-arm tooling is designed to transfer metal blanks, stampings and parts in automated and robotic applications. Engineered with powerful Rare Earth magnets, they will hold parts during power loss, minimize part shifting, provide more options for picking up perforated or odd parts, and reduce shop air costs significantly compared to vacuum cups. CAD/CAM/CAE is in the early stages of cloud-based workflow adoption, according to the CAD in the Cloud Market Trends 2017 report by Jon Peddie Research and Business Advantage Group. Twenty-three percent of survey respondents stated that they have implemented CiC, or are planning to, within the next 12 months." The report goes on to predict that, "Just as the tablet was a disruptive technology to the PC, CiC will have the same effect on workstations and CAD." Manufacturing led other industry sectors in terms of early adopters. The 2017 Servo Technology Experience is Coming—Register Today! Are you ready for the 2017 Servo Technology Experience, presented by the Precision Metalforming Association (PMA) and MetalForming magazine? Aimed at engineers and technicians working in metalforming plants, this comprehensive program will provide technical presentations describing how modern servo-based equipment can help stampers improve productivity and quality. Visit the event website for a complete program agenda, a list of speakers and to register for the event. Join us for the 2018 conference, presented by PMA in association with MetalForming magazine, January 30-31 in Nashville, TN. The event will include track sessions featuring new, emerging and evolving technologies and industry trends that are impactful to metal stamping, die design and die construction companies. Railcar-wheel-assembly upgrades are made possible via a streamlined system. 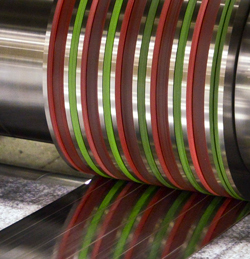 Here's a rundown of press frames and their advantages, depending on applications. See also: PFA, Inc., Industrial Magnetics, Inc., IQMS Manufacturing ERP & MES, Heyco Metals, Inc.